While an agreement has been reached to temporarily re-open the government for three weeks, federal workers and contractors in New York remain impacted by the shutdown, and continue to need help to provide food, essential products, and other resources for themselves and their families. 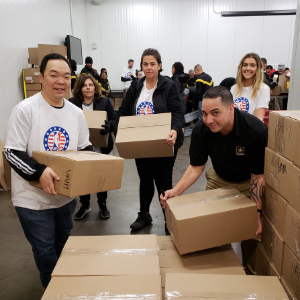 Food Bank For New York City stands ready to provide continued assistance for our city’s federal workers, contractors, and their families facing vital needs during these challenging times. We are grateful for your support in alleviating the uncertainty of the coming weeks by taking action in the impactful ways below. 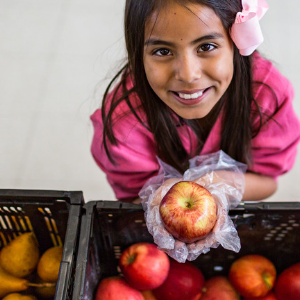 Your gift will help Food Bank meet the surge in need resulting from the government shutdown. Every dollar provide 5 meals. We depend on volunteers to help us get food to the people who need it. Click to express interest in how and where you can help. If someone you know has been affected by the government shutdown and needs support, please direct them here: foodbanknyc.org/shutdown-aid. WHO: For all NYC federal employees and contractors impacted by the shutdown. Food Bank is preparing thousands of boxes of food and much-needed resources for citywide pop-up emergency food distributions. Check back here for more details and contact us to learn how you can partner with Food Bank to RISE UP for the shutdown: volunteer@foodbanknyc.org or 212.566.7855 (dial 5). Thanks for your support of our Pop-Up Distribution at Barclays Center! On Tuesday, January 22, Food Bank hosted our first emergency pop-up distribution at Barclays Center in Brooklyn. Thanks to the support of our partners and volunteers, we were able to provide food, vital products, and other resources for more than 600 New Yorkers impacted by the shutdown.